Irfu conducts fundamental research, mainly experimental but also theoretical, on nucleons and nuclei, elementary bricks of matter whose cohesion is ensured by strong interaction. 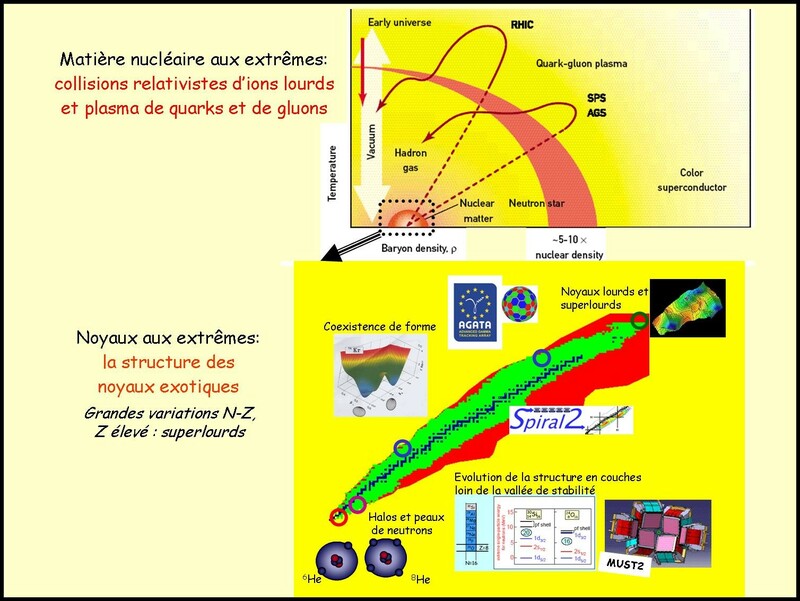 nuclei under extreme conditions of isospin (N-Z function), spin, Z load, deformation : exotic and superheavy nuclei. Top: Phase diagram (nuclear density, temperature) of nuclear matter. Bottom: Table of nuclei.